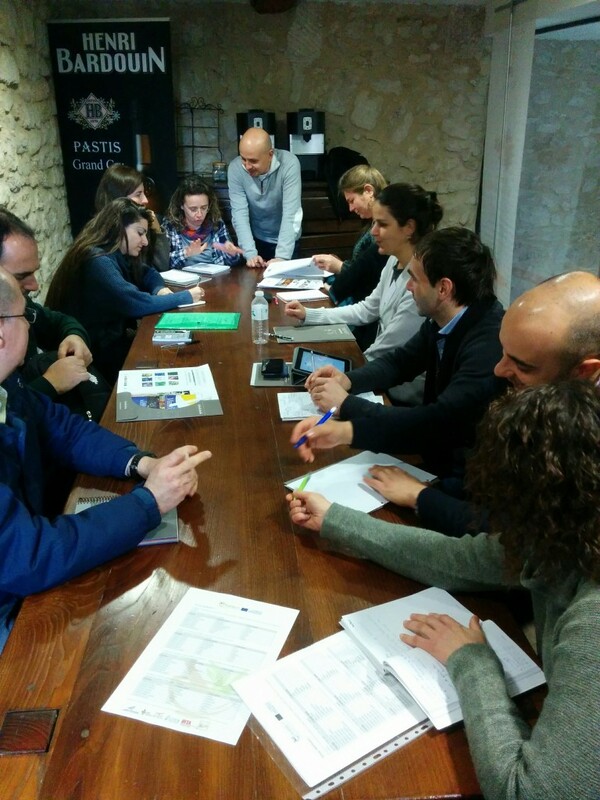 From the 23rd to the 27th January 2017 the project HERBARTIS: Adult Training on Handicraft Production of Medicinal and Aromatic Plants experienced its second “transnational mobility” in Haute Provence region (France). The leader country of the project is Spain, represented by CTFC (Forest Sciences Centre of Catalunya). The other partners are: from Spain, IRTA “Institut de Recerca i Tecnologia Agroalimentàries”; from France, UESS “Université Européenne Senteurs et Saveurs (UESS)”; from Portugal, ADCMoura “Associação para o Desenvolvimento do Concelho de Moura”; and from Italy, the Association “Le Terre dei Savoia” and CRA-FSO “Council for research and experimentation in agriculture”. The “headquarter” of this mobility has been UESS, a training and research centre for the promotion of aromatic plants in the fields of cosmetics, food and agriculture based in Forcalquier in Haute Provence region. 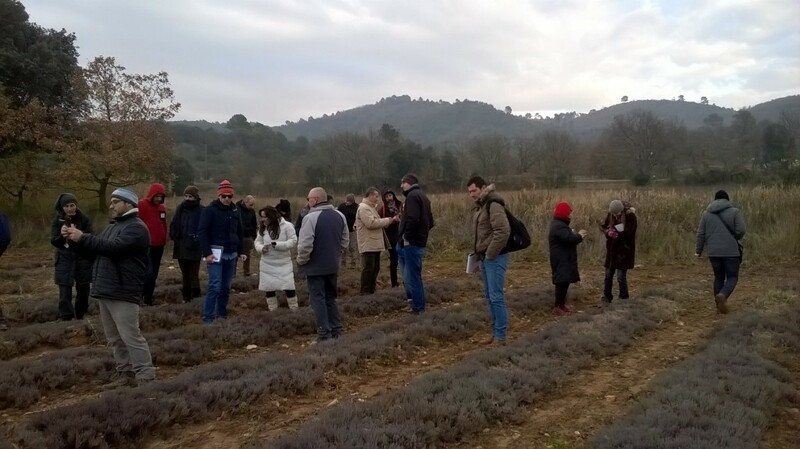 Students and producers coming from France, Spain, Portugal and Italy had the chance to visit farms and companies of the field of aromatic and medicinal plants. Most of them are involved in the production of “herbes de Provence”, a renowned mix of aromatic herbs made up of thyme, rosemary, oregano, savory, such as Laurent Depied’s farm in Mane, “Senteurs des collines” in Greoux Les Bains (which offers also rooms for tourists), “Les aromates de Provence” in Trets, which is a cooperative of about 40 producers of the region, and “Les Serres des Segries” which is a plant nursery. 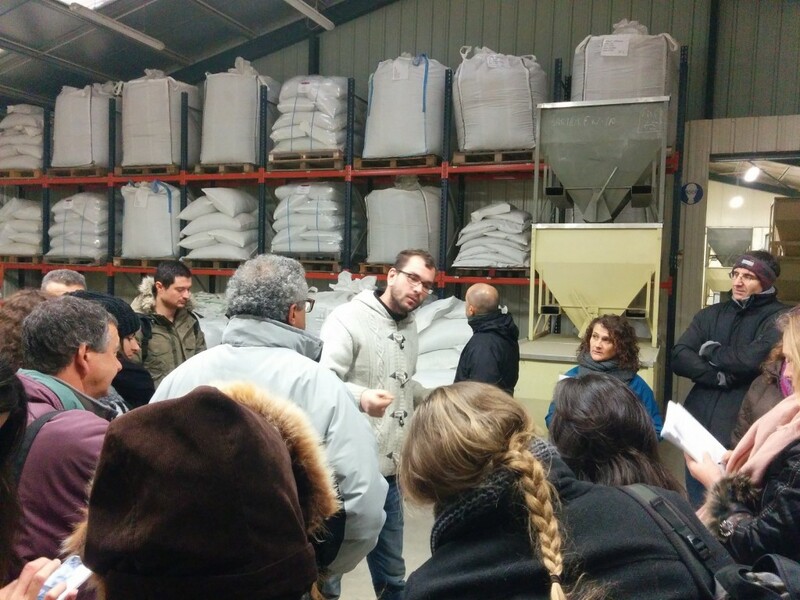 As usual, the last day of the mobility has been dedicated to work groups made up of students and teachers of every nationality who could confront and discuss about topics related to the sector of medicinal and aromatic plants: equipment used for harvesting, drying processes, quality of dry herbs and HACCP, work schedule and production costs. Finally, students joined the Seminar “Presentation of MAP sector. The economy, transformation of MAPs” with the speech of Olivier Bagarri (UESS director), Claude Chailan (FranceAgriMer), Sylvain Perrot and Marie Fontaine (CRIEPPAM). Next appointment will take place from 27th February to 3rd March in Solsona, Catalunya (Spain).